What’s the best way to get some fruits and/or vegetables into your diet that you might not necessarily enjoy eating straight up? Simple: blend them into a smoothie! 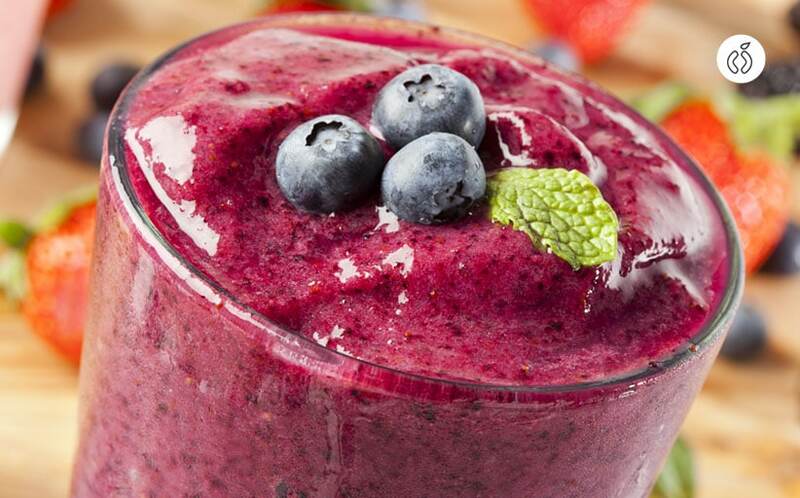 What’s great about a smoothie is that say you really like raspberries but don’t really like blueberries, yet you want to add the health benefits from blueberries into your diet. You just blend a larger portion of raspberries with a smaller portion of blueberries to make your smoothie; that way, you’re still consuming the blueberries, but you barely even taste them, since the preferred taste of the raspberries is more overpowering. The same goes for vegetables. Add a half of, say, a carrot to an orange and pineapple smoothie, and you might never even taste the carrot, yet you’ll still be eating vegetables – how great is that? Smoothies are one of the most flexible recipes you can make, since it really does depend on your preference. You can add more fruit if you want a fruitier taste, or more milk if you prefer a blander taste. You can also add or reduce the amount of ice you use to make a thicker or thinner shake. What follows is just a quick suggestion for how to make a baseline smoothie, but the possibilities are truly endless. Play with the ingredients until you find a combination you really enjoy. ●	Frozen fruit of your choice (mixed berries, strawberries, blackberries, cranberries, etc.). 1. Pour the can of coconut milk into a blender. 2. Add as much or as little of the frozen fruit that you would like. 3. Add the egg yolks for additional nutritional content. 4. Add the nut butter (optional). 5. Add the vanilla extract (optional).